Here is an ever-growing list of resources that I have either used in the past or am currently using in my business. I love each of them and can recommend them wholeheartedly. Some of the links are affiliate links at no extra cost to you. 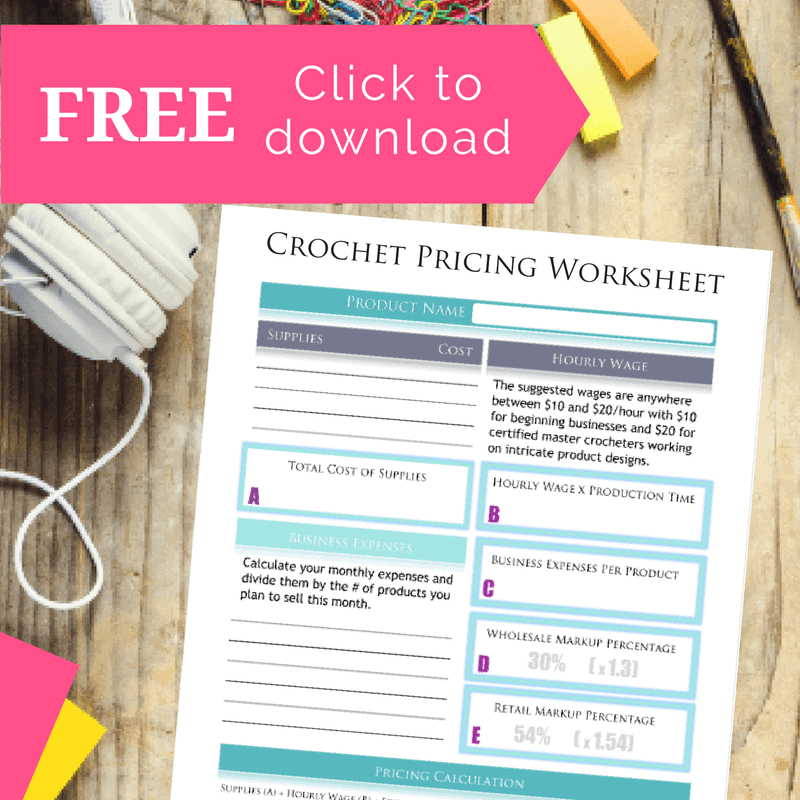 Click on the image to get more information on each tool or resource and, as always, if you have questions, please email me at pam@crochetpreneur.com. I use Trello to manage all of my projects, my editorial calendar, product and pattern launches, and daily to-do list. Basically, Trello is the tool that keeps things running smoothly at Crochetpreneur.com. Own your e-commerce business without relying on someone else’s platform. With Shopify, they host your site and the business is 100% yours. Easily transfer your Etsy products, sell digital items, create discounts, marketing campaigns with your very own shop on Shopify. Etsy is a great place to get your feet wet in the e-commerce world. While your shop is at the mercy of the folks at Etsy, it’s the perfect place to build a brand, experiment with product lines, and expose your business to the hundreds of thousands of customers who visit Etsy each day. THE place for fiber artists to gather, chat about yarn and crochet, organize your stash and projects, and post patterns for sale. While this platform doesn’t have the volume of buyers that Etsy has, they are all targeted knitters and crocheters. I recommended selling patterns on both Etsy, Ravelry, and your own individual Shopify shop. This is a great place to get started with e-mail marketing. With a plan that is free for up to 1,000 unique subscribers, build your list without draining your wallet. Mailerlite is known for its excellent customer service and its wide range of functionality from landing pages, pop ups, automations, and newsletter campaigns. ConvertKit is the go-to e-mail host for the many successful bloggers. As you know, your list is where the gold is and having a service provider who understands the needs of bloggers and who continues to innovate and expand their services to meet their needs is invaluable. This is a great place to transition your list once you start making a steady income with your blog. This is the premier hosting site for new and experienced bloggers alike. Their low introductory rates, free domain, and excellent customer service make Blue Host a great place to start building your online presence. This is where I host my blog. I chose SiteGround because I needed a host who would be willing to walk me, step-by-step, through the tech world. SiteGround’s customer service is second to none, in my opinion, and, while their rates are significantly higher than other hosts, once you can afford them, they’re excellent track record makes it worth the trouble of moving. I don’t know where I’d be without Canva. On a typical day, I have a Canva tab open at all times. Whether I need a graphic for a social media post, a blog image, or an e-book cover, Canva has me covered. Start out for free and upgrade to the business plan (with your own fonts and saved brand colors) once you begin making money with your blog. Have you ever wondered how bloggers get those amazing images of their opt-ins and printables that look like professionally bound books? My E-covermaker is their secret. Create 3D books, CD covers, pamphlets, and binders with the click of a button for just $5 a piece. At Simplifying DIY Design, Kara Fidd provides training and templates that help bloggers define their brand and create cohesive and stunning graphics simply and easiily. Kara’s help has been invaluable to me as I’ve build my blog. Ruth Soukup and Elite Blog Academy changed my life. That’s no exaggeration. EBA where it all started for me. I went from a struggling blogger who had no clue what she was doing to a confident creative with a plan and a clear pathway to success. While the class doesn’t open until Feb. 2019, join their waitlist now and take advantage of their many, many FREE resources for both new and experienced bloggers. Whether it’s through her Mentored Mastermind group, her many courses for content creators or her “Just Keep Blogging” podcast, Kim Anderson is not only a mentor, but a friend. You’ll love her kindness and her ability to give you a swift kick in the pants while making you feel 100% understood and cared for in the process. She may be the Thrifty Little mom, but when it comes to helping, Kim is generous to a fault. You are not going to believe the value that is to be found in the Genius Blogger’s Toolkit. Whether it’s resources to help build your media kit, templates for pitching brands, or a simple framework for blogging, the toolkit will give you hours and hours of courses, pages and pages of resources, and plenty of help for building your successful blog. The toolkit is generally available in October. Get on my private waitlist and I’ll let you know when you can grab your copy – thousands of dollars worth of resources for 97% off! This is the tool I use to discover what keywords are popular, trends in content creation, and how my keywords rank in Google search. This is the tool I use to discover what keywords are popular, trends in content creation, and how my keywords rank in Google search. This SEO tool works specifically for ETSY shop owners and will help get our products found in search. A wealth of information and opportunity reside in this powerful little tool! Automatically schedule your Pinterest posts and forget them, schedule or automate your Instagram posts and stories, analyze the performance of your pins and groups, and join Tribes to help cross-promote content with both big and small content creators in your niche.